Christmas is my absolute FAVORITE season! I love all the beautiful decorations, from bright, fun colors to the more traditional designs to the antiqued and shabby chic vintage style. I simply Love Christmas, it's just that simple. I especially love the FOOD of Christmas. Yep, the Chocolate Covered Peanut Butter filled Ritz Crackers, White Chocolate Cranberry Biscotti, Grandma's Sugar Cookies and homemade fudge - no nuts though! But I really, really love Candy Canes. They are not only pretty to look at and make great decorations, they are wonderful in a cup of hot cocoa as a stirrer, or just licking the red stripe off of them a little bit at a time while you keep peeling down the wrapper. I did a little happy dance in the studio! You see, I had just bought a white tinsel table top Christmas tree for the studio and was about to decorate it so this inspiration photo gave me a great idea! 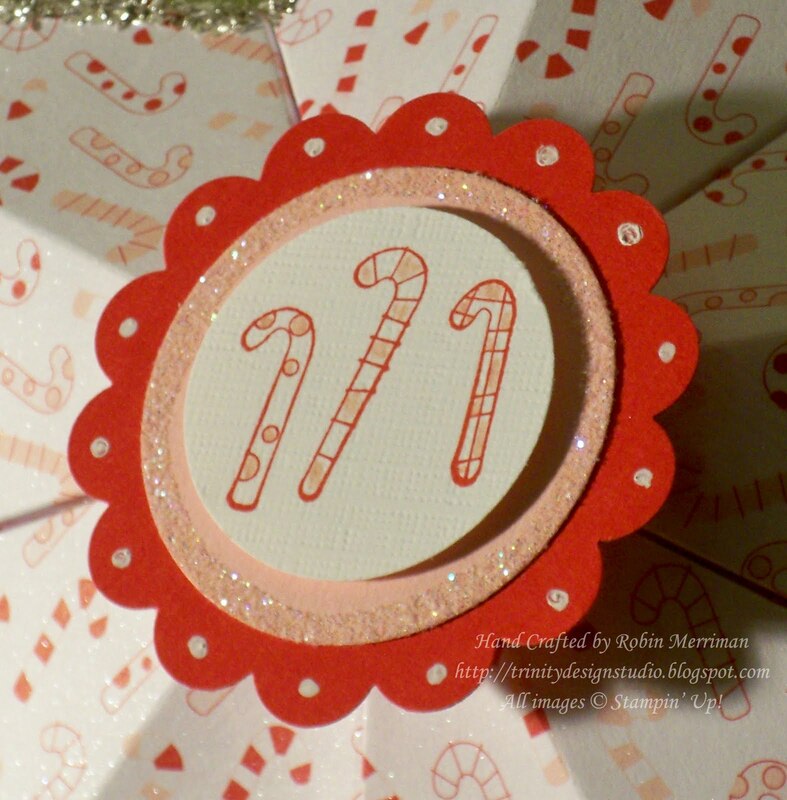 A Candy Cane Christmas Star Tree Topper!! 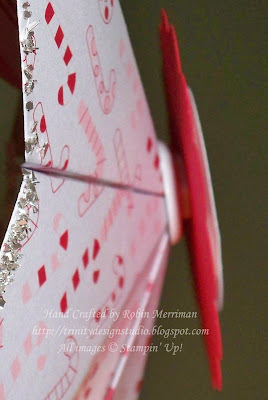 This was so easy to construct with my Big Shot and the 5 Point Star Die. Just cut out 5 of the star pieces and attach them together with Sticky Strip to form the star. I then sprayed the heck out of it with Vanilla Shimmer Smooch Spray. It's so sparkly in real life - I wish you could see it better! Then, I added Silver Glass Glitter to the edges with my 2 Way Glue Pen. However, I'd probably use Tombow Multi Adhesive next time as I don't think the 2 Way Glue is strong enough to hold this heavier glitter. 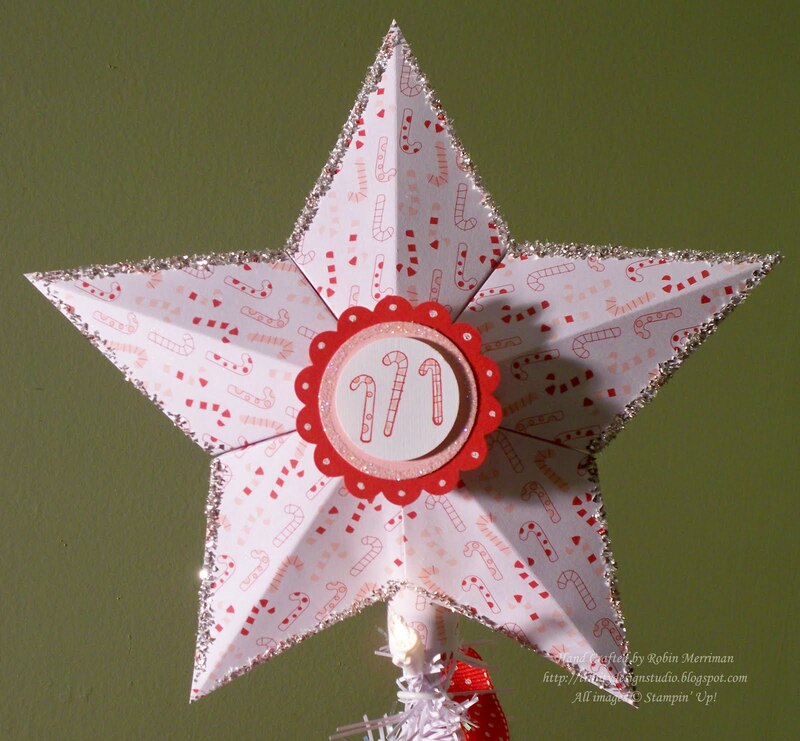 Once I created the center embellishment with A Cute Christmas stamp set and some punched pieces, I added it to the middle of the star. I took a White Jumbo Brad and inserted it into the center of the star. Then I placed the center embellisment on it with a Stampin' Dimensional. The Jumbo Brad gave me a flat place to put the dimensional. Easy! In the meantime, you can visit the UDI Blog and see what the other design team members created with Candy Canes. I'm sure it will be sweet! Ha! What great ideas! 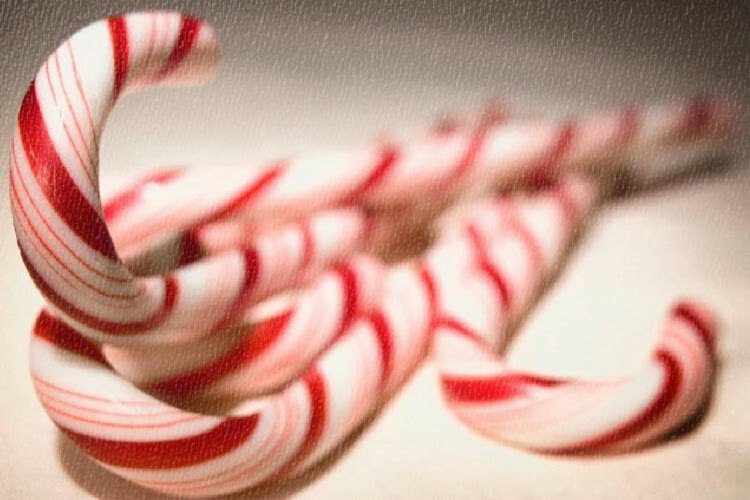 I love those candy canes, and what you did. Fabulous!!! Oh, Robin, this is just too cute! I hope you are going to show more photos of the finished tree. What a great interpretation of the inspiration photo! Robin this is fabulous!!!! I love it!!! I have that die and have never used it. Not quite sure what to do with it!! Now I have an idea!!! I agree that this is adorable!